We provide specialized exhibits for galleries using canvas prints of David Labkovski's work. Rental fees available upon request. We offer museums exhibits of original works. 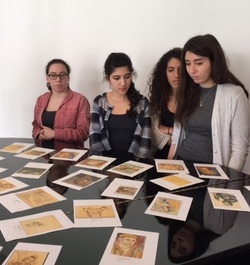 Artwork is available for loan from collections in the United States, South Africa and the David Labkovski Museum in Ramat Gan, Israel. ​Rental fees available upon request.